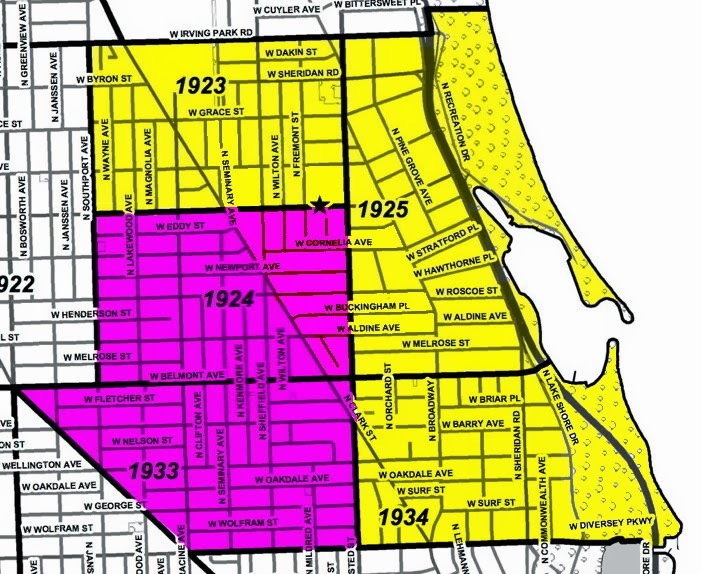 • The CAPS Meeting for police beats 1923, 1925, and 1934 (yellow on the map) will be held at 7PM this Wednesday, December 4, in the 19th district police station. 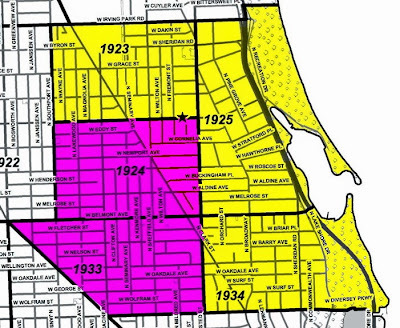 • The CAPS Meeting for police beats 1924 and 1933 (pink on the map) will be held at 7PM next Thursday, December 12, in Illinois Masonic Medical Center. Follow the signs or ask at the front desk for directions to the meeting room. • Southeast Lakeview Neighbors' monthly meeting is scheduled for 7PM next Monday, December 9, at Second Unitarian Church, 656 W. Barry.